Peter Oppenheimer speaking on Apple's new corporate campus last October. Shares of Apple were up less than 1 percent in morning trading on Tuesday, as Wall Street was generally unfazed by the news that Oppenheimer will retire at the end of September. 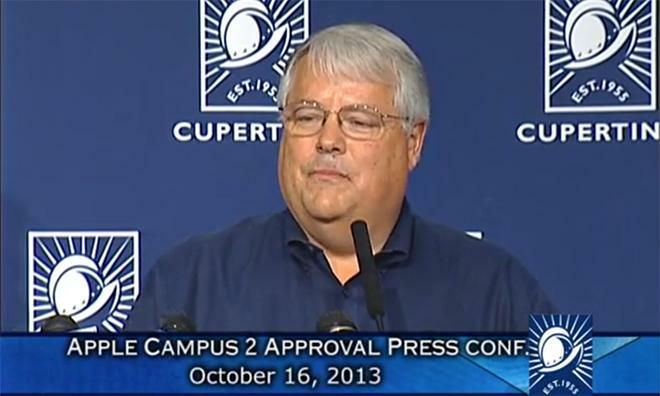 Oppenheimer has served as Apple's CFO for 10 years, and his entire tenure at the company has lasted more than 18. Reacting to the news on Tuesday, analyst Brian White of Cantor Fitzgerald issued a note to investors noting that although Oppenheimer is only 51, he oversaw a period of rapid growth and big shareholder returns at Apple. And Apple's hiring of Maestri in early 2013 was also a clear sign to White that a transition was in the making. During his tenure, Oppenheimer oversaw a major share repurchase program, the largest of its kind, utilizing Apple's considerable cash position to invest the company in itself. Apple also began paying a quarterly dividend to investors under the guidance of Oppenheimer. Apple's annual revenue grew from $8 billion to a massive $171 billion under Oppenheimer's watch. 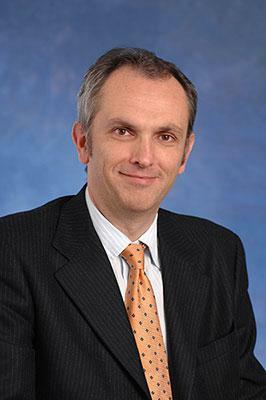 Apple corporate controller Luca Maestri. Analyst Maynard Um of Wells Fargo also said Tuesday that Oppenheimer's upcoming departure, and the promotion of Maestri, did not come as a surprise to him. He also expects a "fairly seamless" transition to the new CFO —a process that will begin gradually in June before Oppenheimer officially departs at the end of September. Oppenheimer leaves Apple with a "strong financial management structure," analyst Mark Moskowitz with J.P. Morgan said his own note to investors. He doesn't expect much to change under Maestri. "Maestri has been well regarded by the investment community, in our view, and we think he has the skill sets to successfully lead the finance operations at Apple," Moskowitz said.